Friday, July 22. Tickets and writeup HERE. 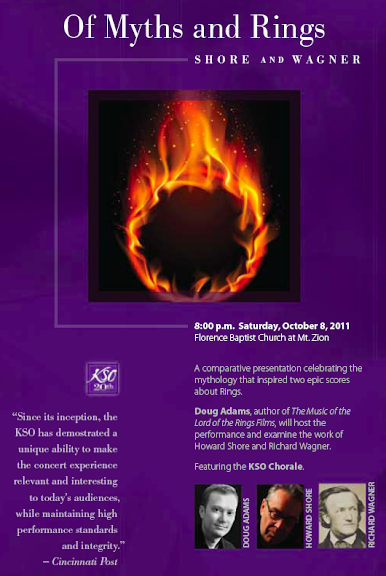 Should I do my usual spiel and suggest that someone check with these fine folks re: a pre-concert lecture? Why yes, I think I will suggest that someone do that! Anyone with a Houston connection, feel free to drop me a line. 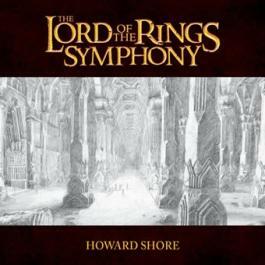 Join us for an exciting, brand-new journey into the realm of Middle-earth. Over 250 musicians and singers will perform the movie soundtrack live as you watch the full-length film of The Lord of the Rings: The Fellowship of the Ring. See it from the beginning as Frodo and Sam, with the help of the Fellowship, undertake the perilous quest of taking the Ring of Power to the land of Mordor. 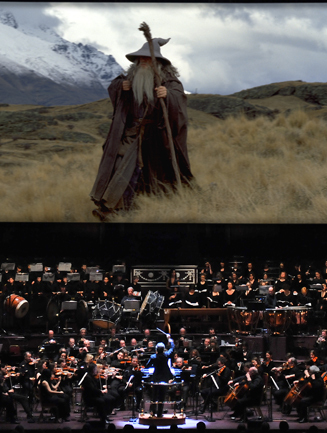 Relive your journey into Middle-earth with this extraordinary pairing of film and live music.